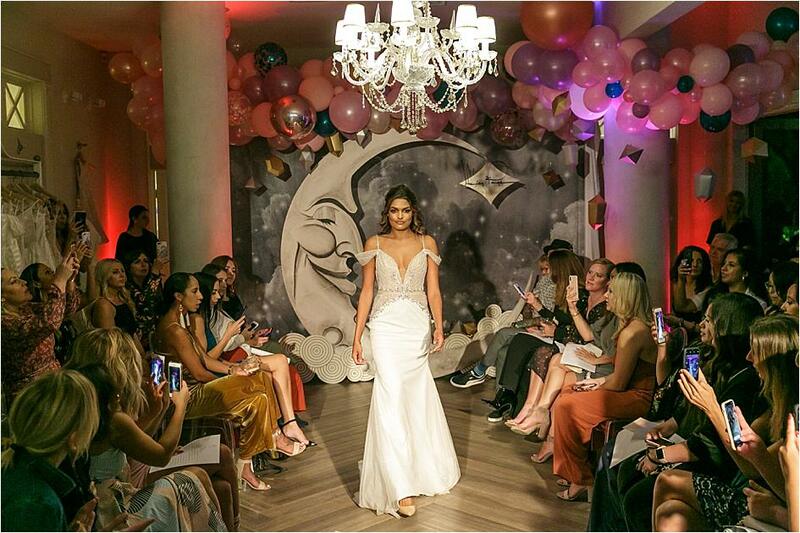 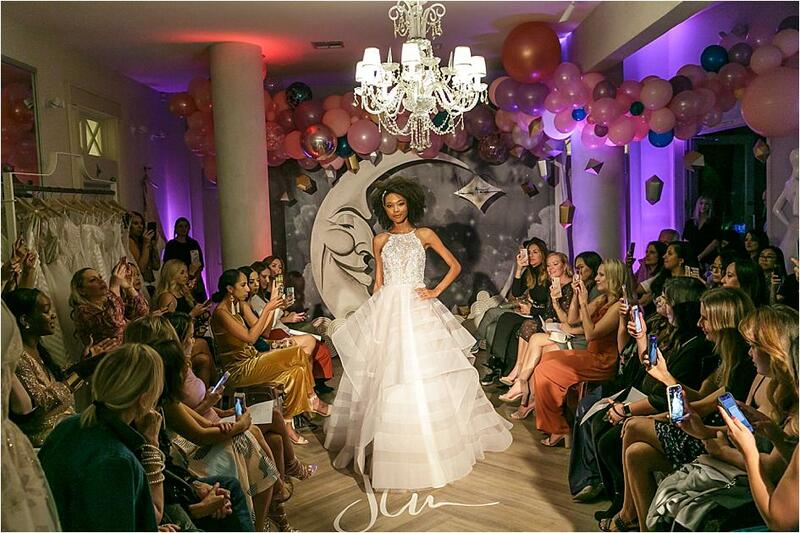 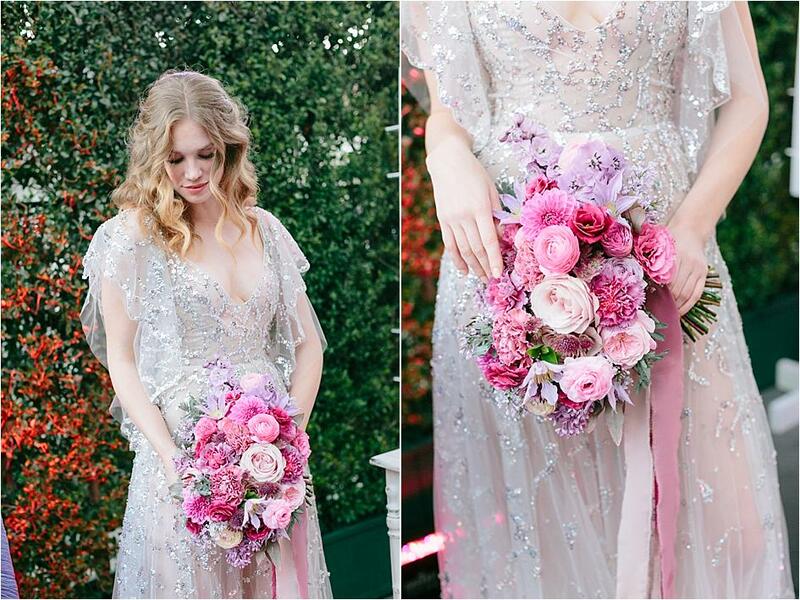 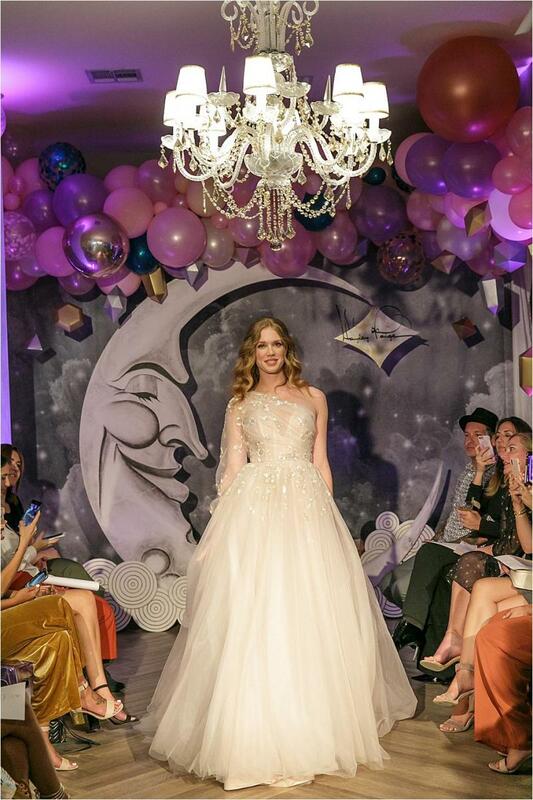 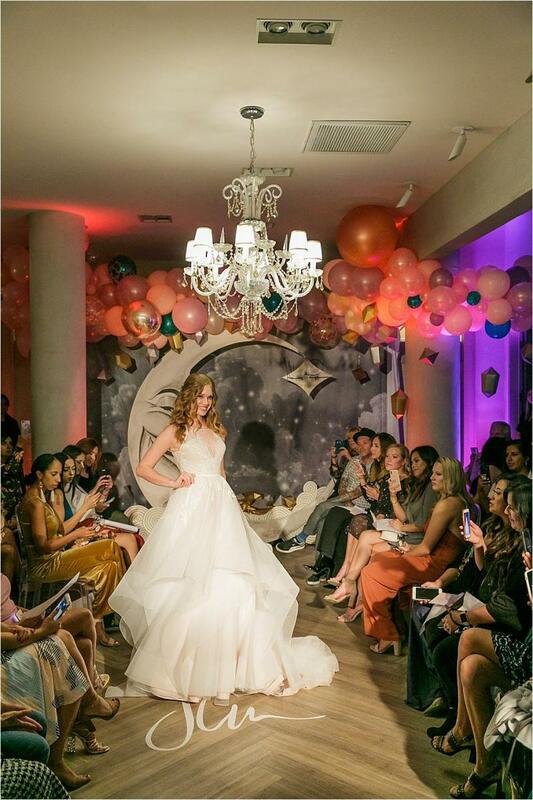 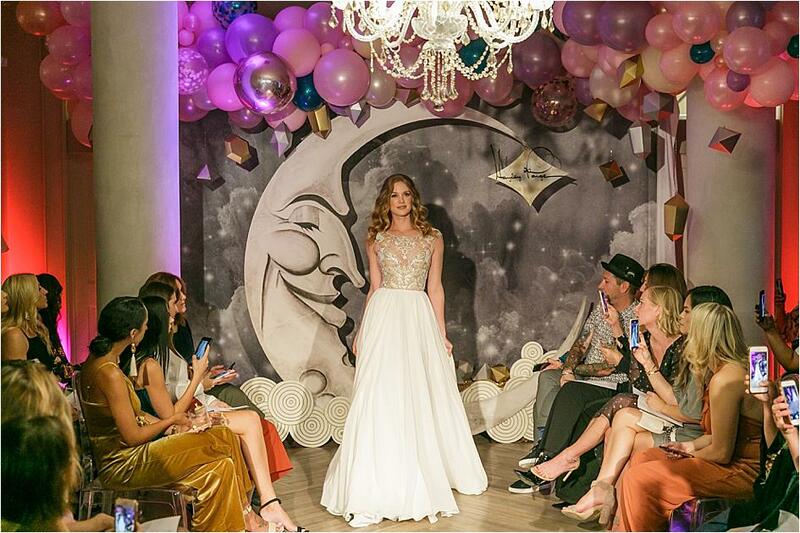 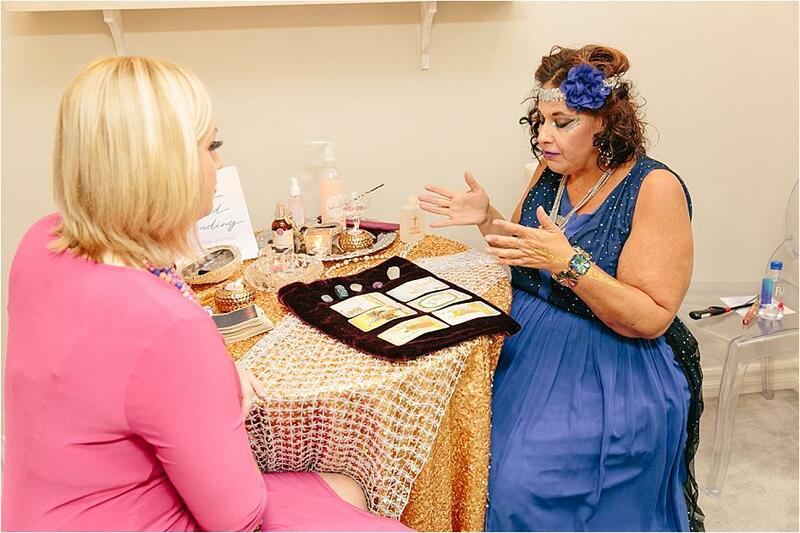 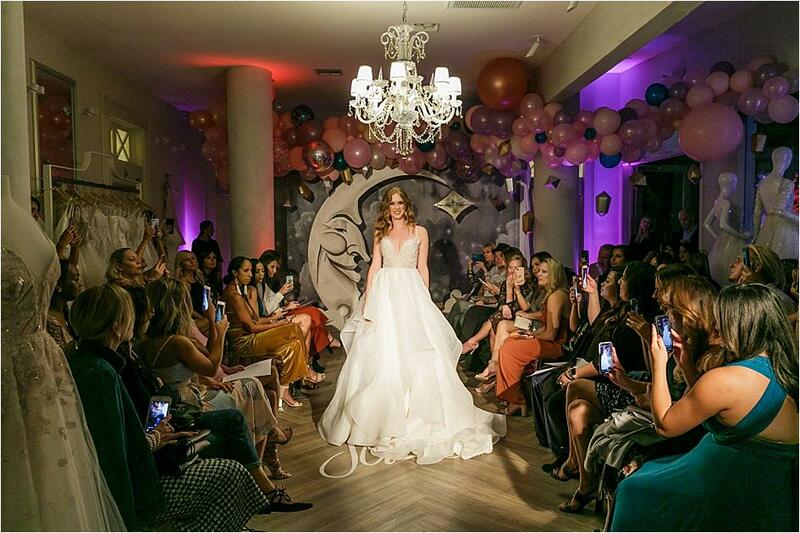 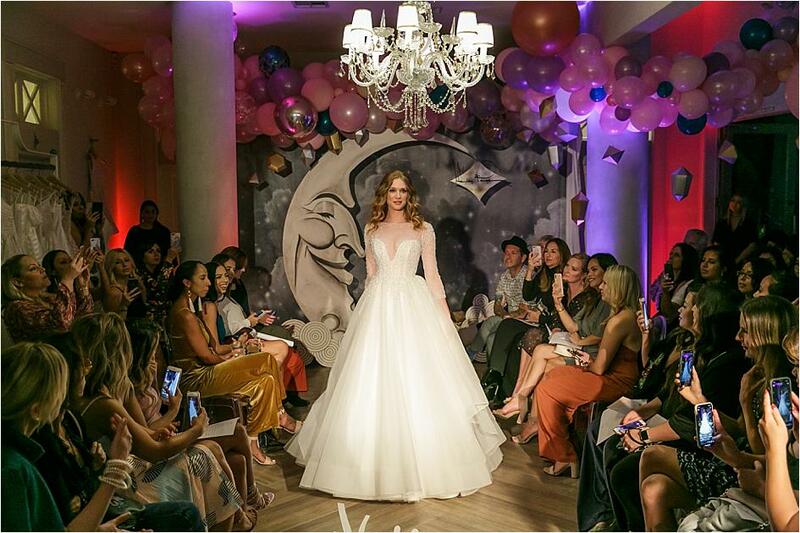 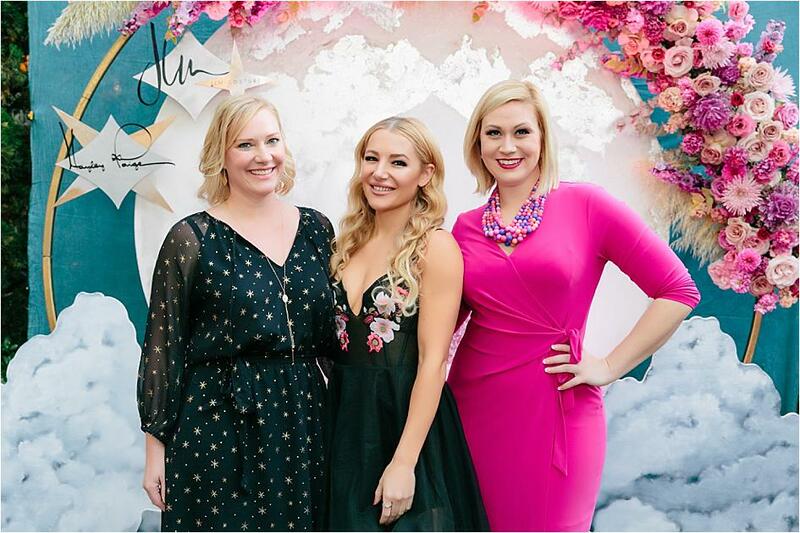 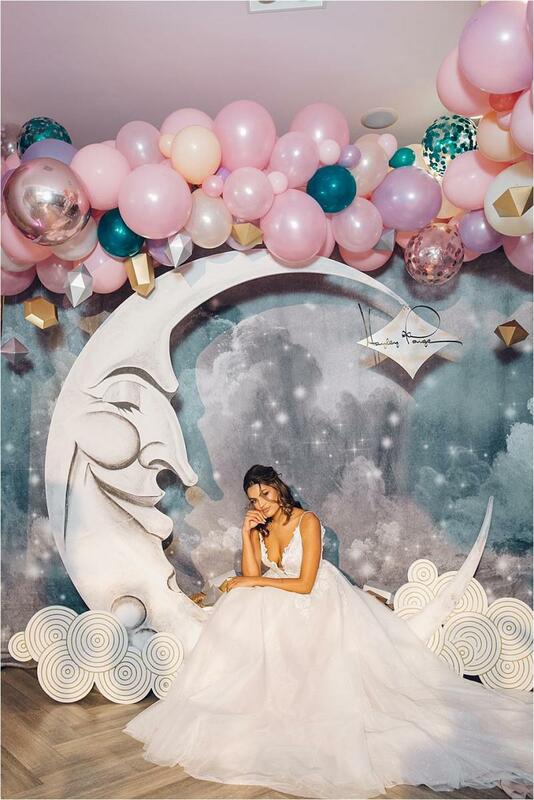 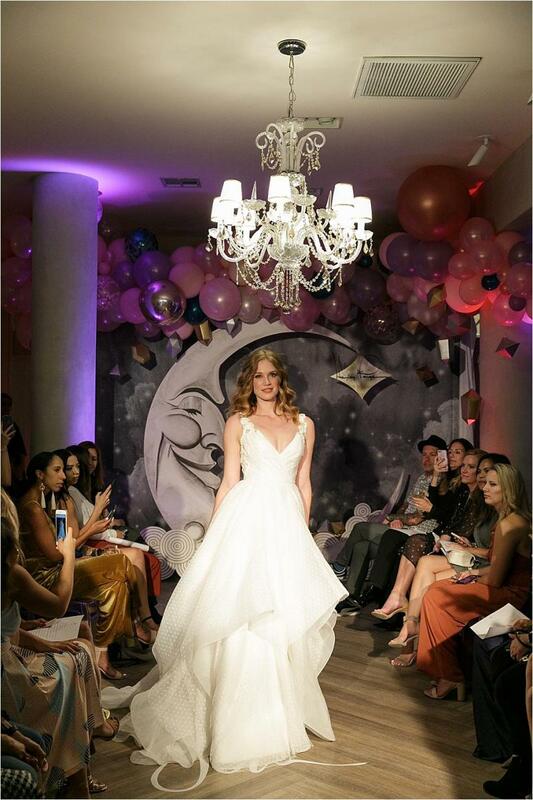 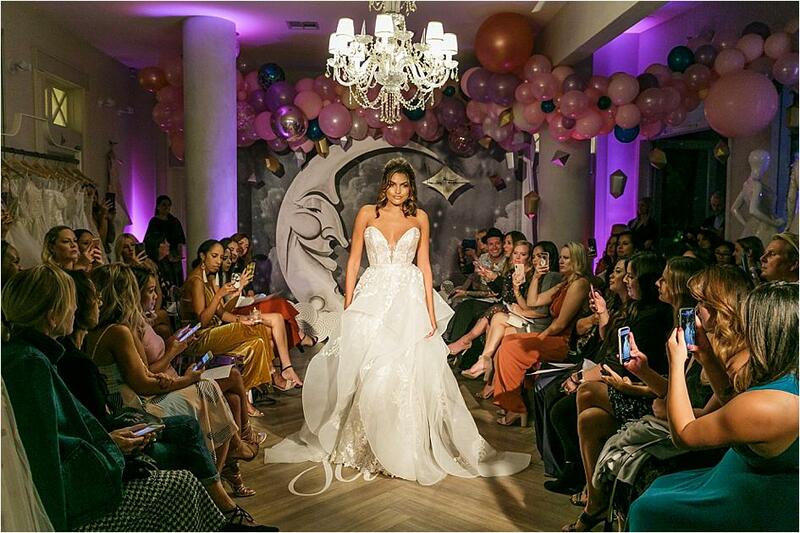 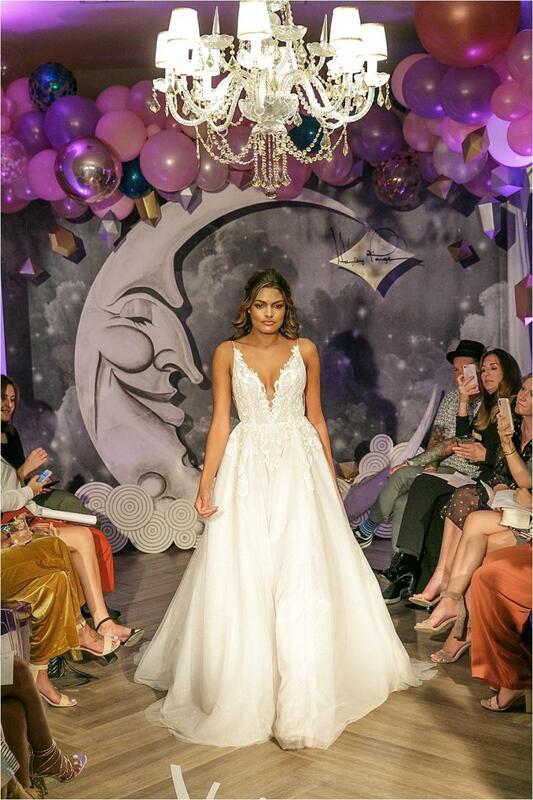 Bridal designer and all around unicorn of bridal design touched down at JLM Couture Flagship Salon in Los Angeles for a sparkling soiree, "An Evening of Mystique" to celebrate her Spring 2019 Bridal Collection. 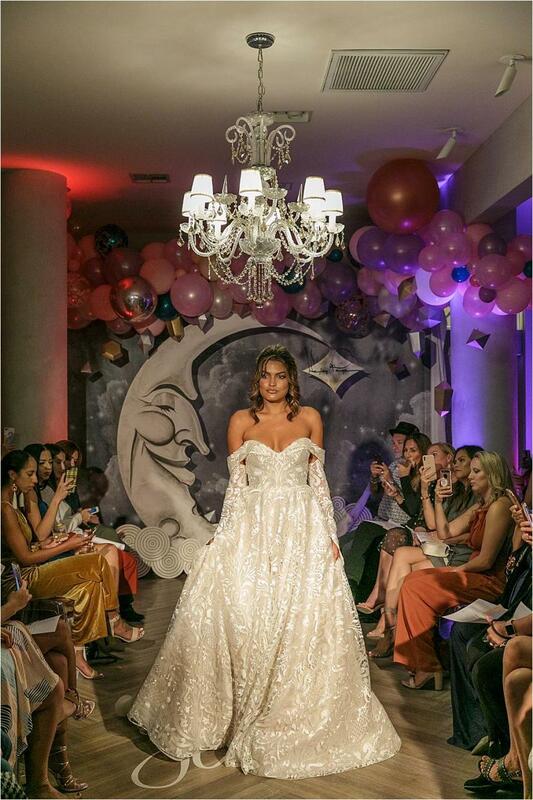 The beautiful and lively Paige debuted her collection at New York Fashion Week and first stop is her trunk show at JLM's flagship store this weekend (call the boutique to make an appointment now!). 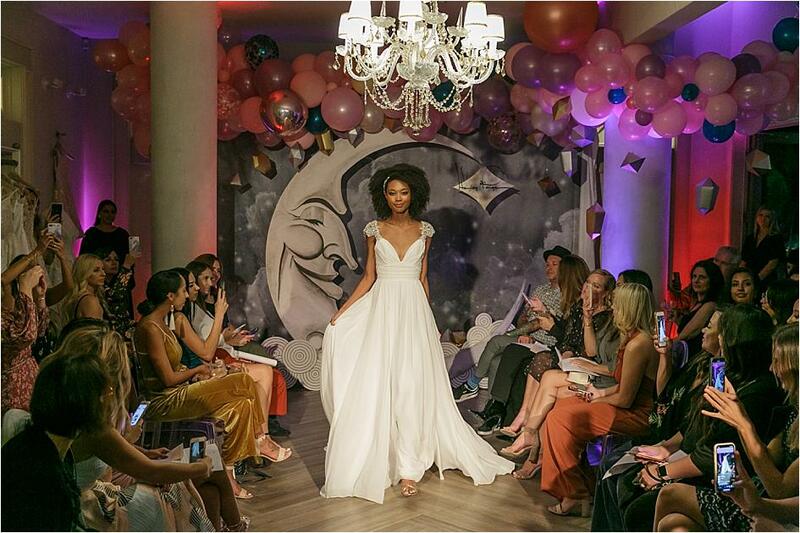 Inspired by empowerment, Paige's latest collection is a daring and chic sparkle fest filled with dreamy confections featuring floral beaded straps, cascading ball gowns and beautiful beading. 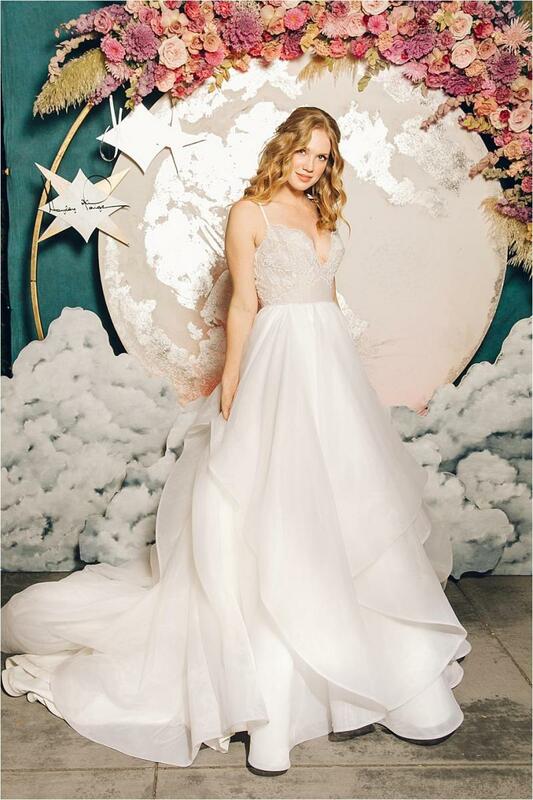 We're especially head-over-heels for Archie, a beaded tulle A-line gown featuring a draped one-shoulder bodice with a draped accent on the back. 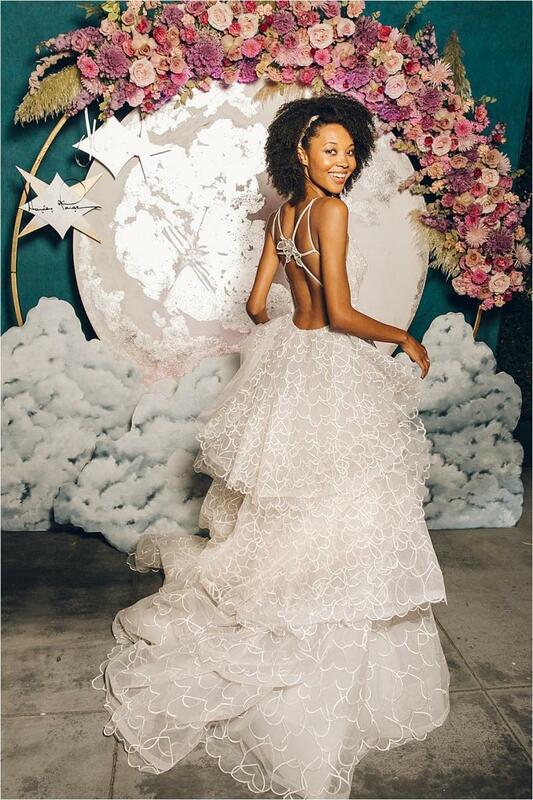 And the "Rad" gown is a dream with its heart-on-heart embroidered tulle ball gown, scalloped sweetheart neckline and open butterfly back. 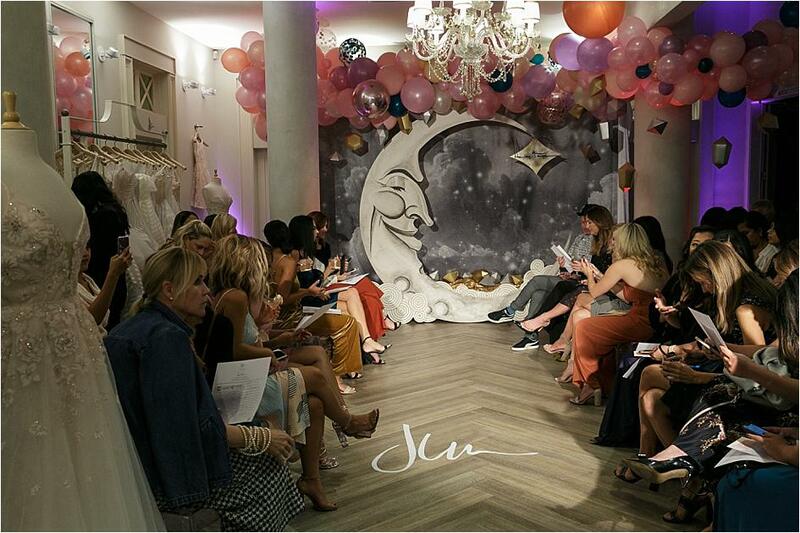 "This season is about confidence, not compromise. 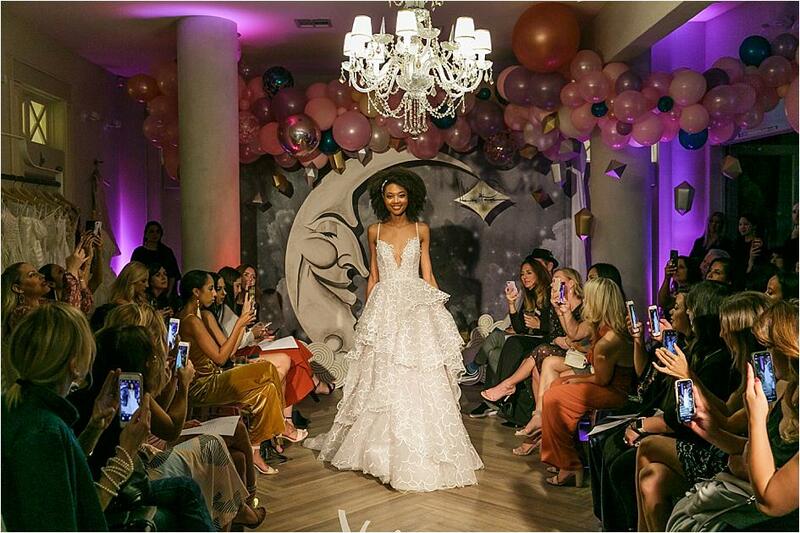 I've been exploring empowerment principles and how energy is truly a universal language," explains the designer. 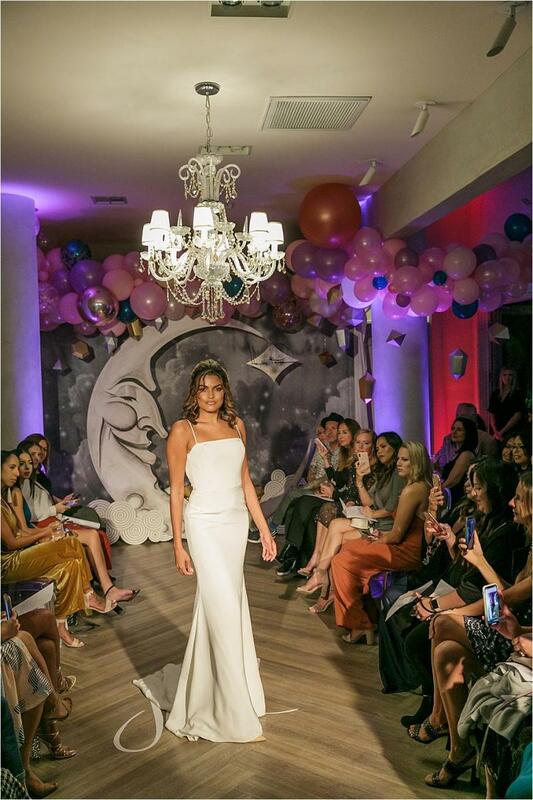 "I wanted each gown in this collection to represent a different value in the same way a superhero manifests a special skill; everything from loyalty and resilience to grit and gratitude is in attendance." 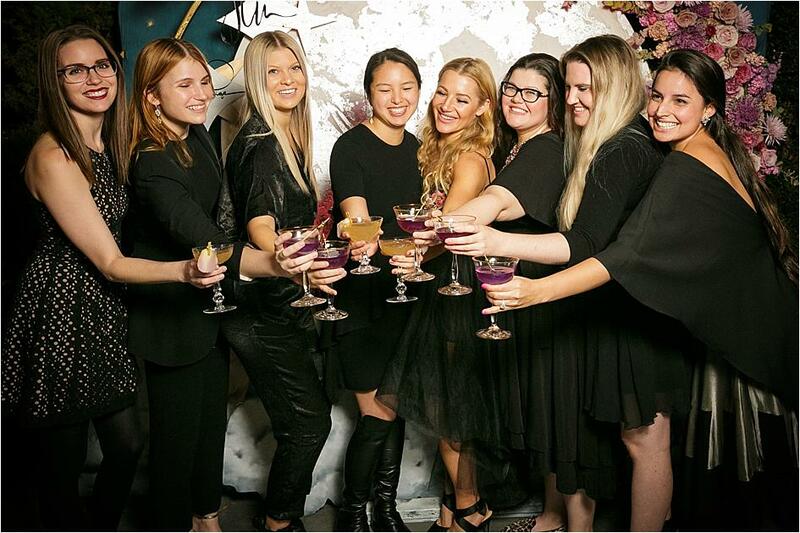 "Each season, I try to create something playful beyond the scope of garments to help manifest the vibe of this season," notes Paige. 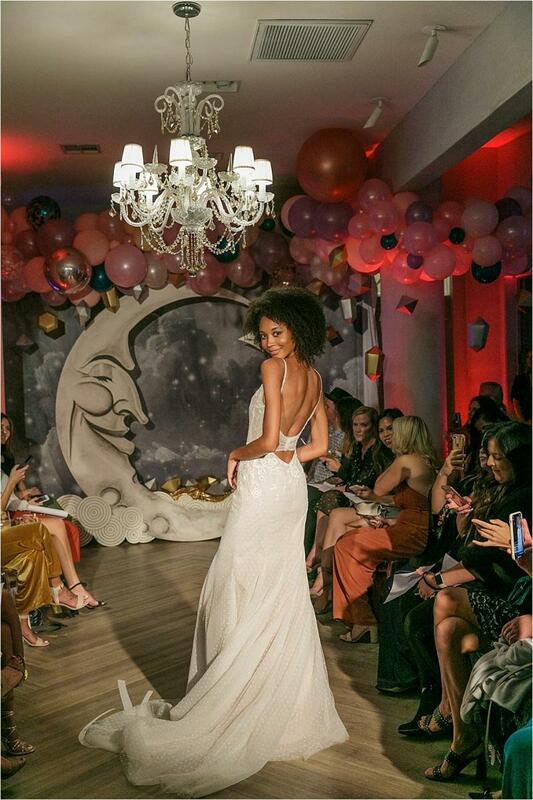 "One year I did a short story about the celestial spirit, and last year I launched out wedding emoji app Holy Matrimoji. 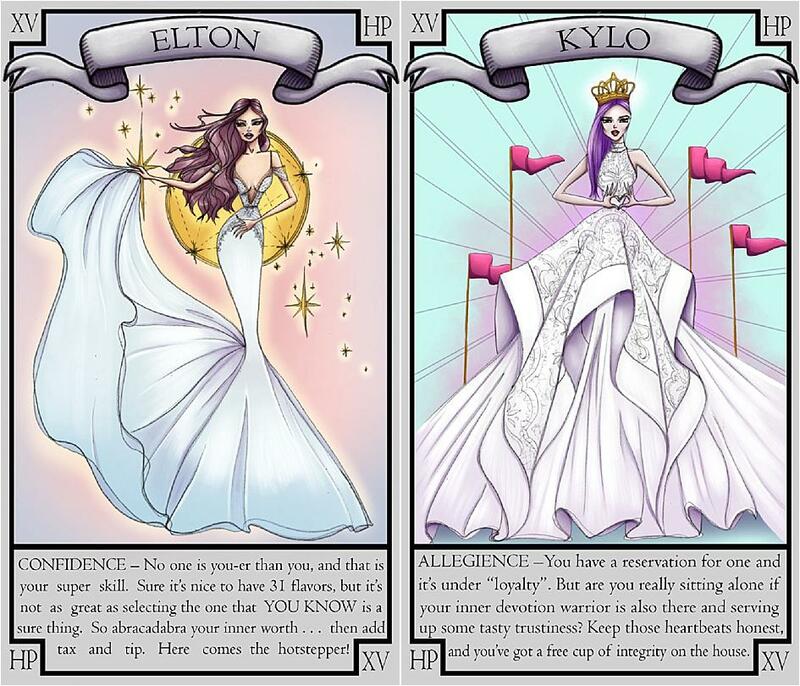 This season, I created a deck of tarot cards, each representing one gown from the new Hayley Paige collection and embodying a unique fortune." 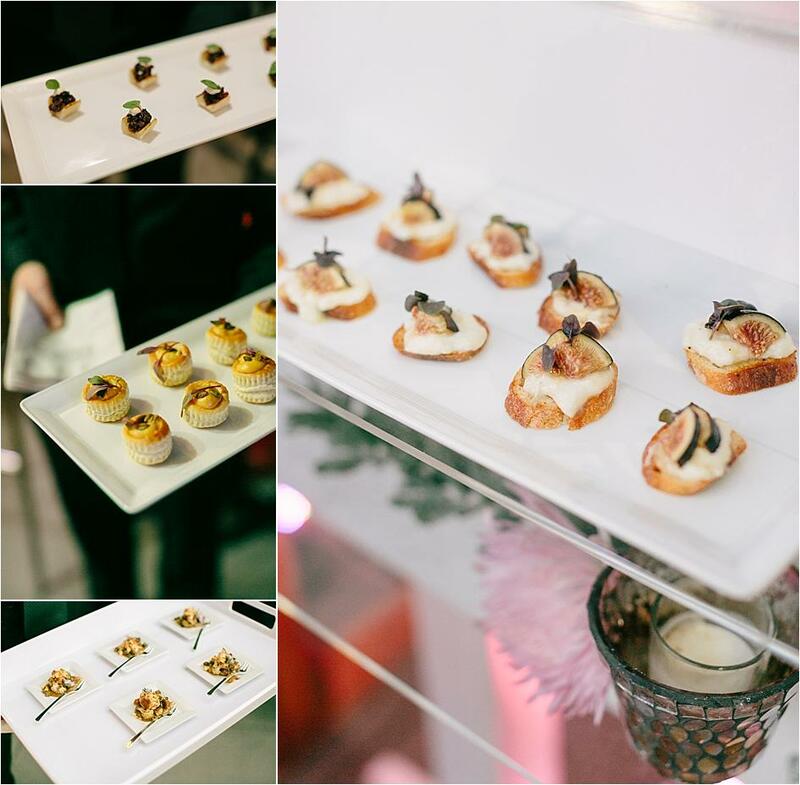 After debuting the collection, guests dined on bites from Colette's Catering including White Fish Brandade, Artichoke Fondue, and Marcona Almond Carmelized Butternut Custard, and sipped cocktails by The Natural Mixologist. 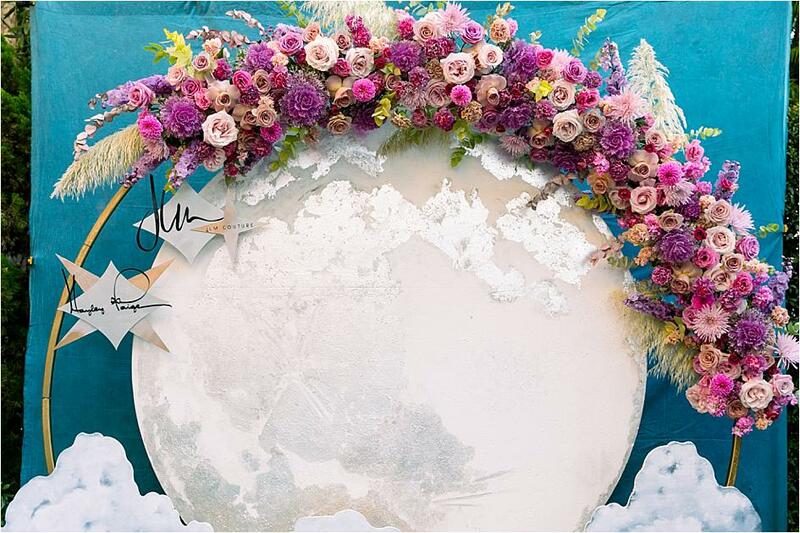 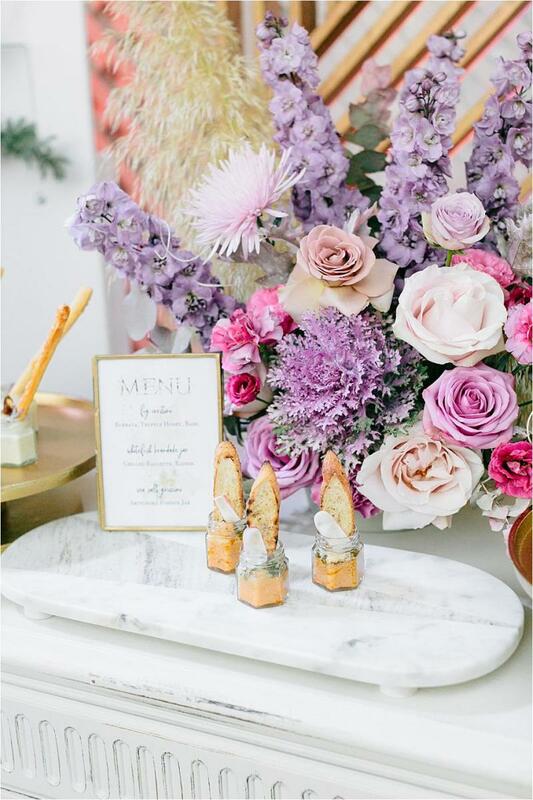 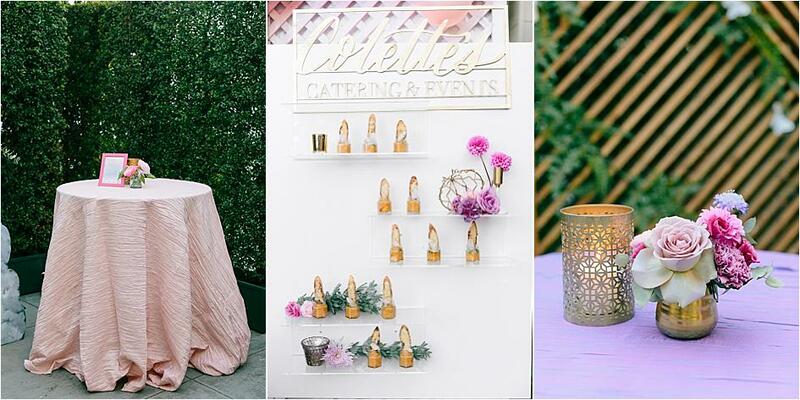 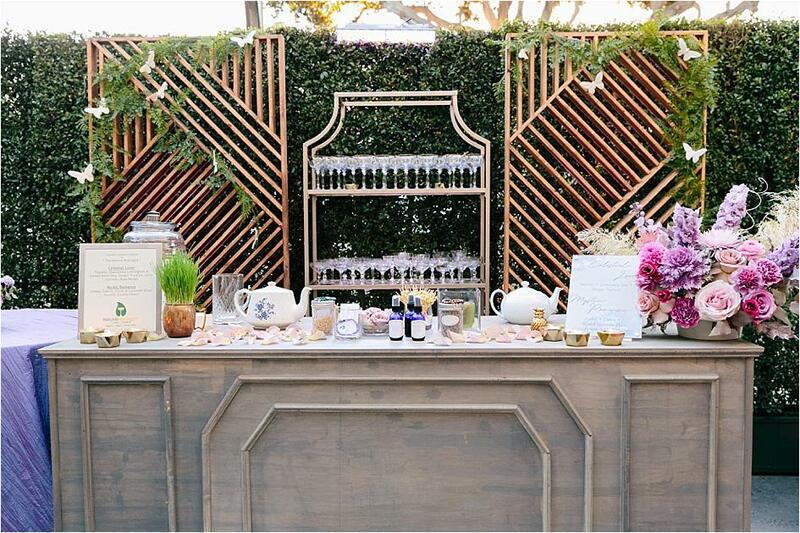 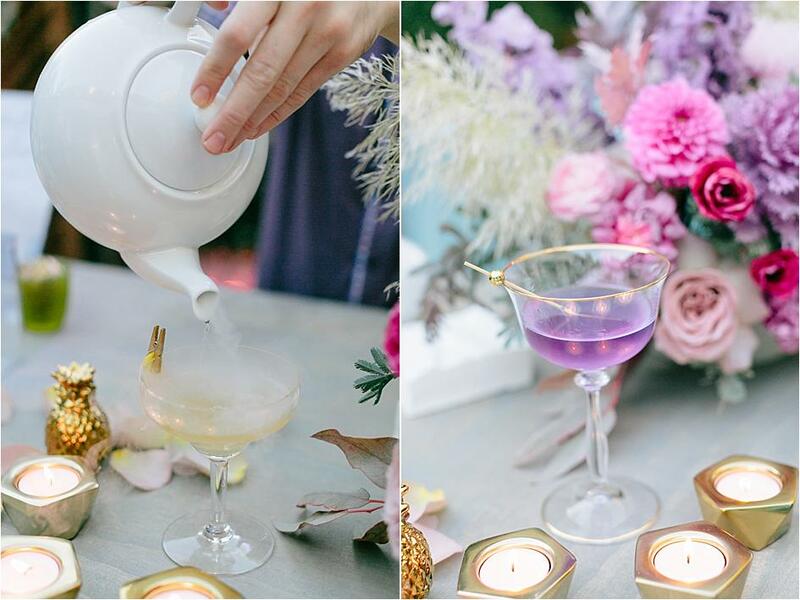 The beautifully designed space by Anything But Gray Events was an on-point Paige-inspired mix of modern and mystical with beautiful lavender-hued florals by Shindig Chic. 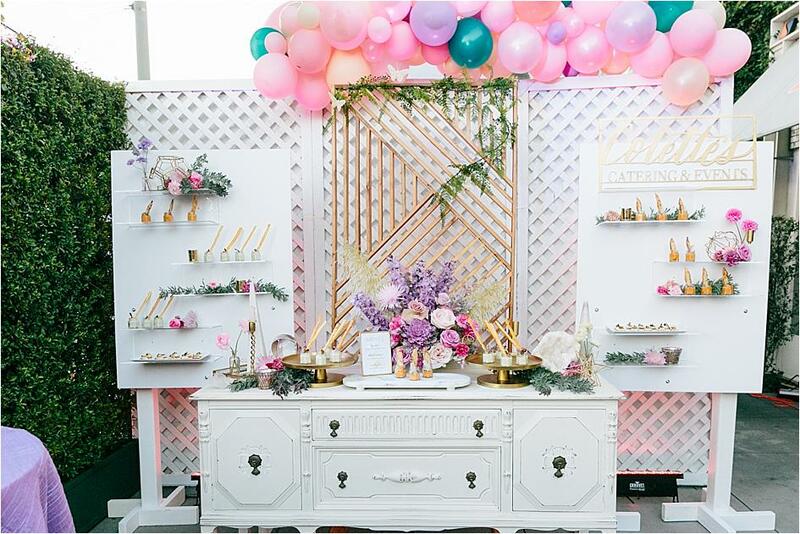 Check out all the pretty and the full list of vendors below. 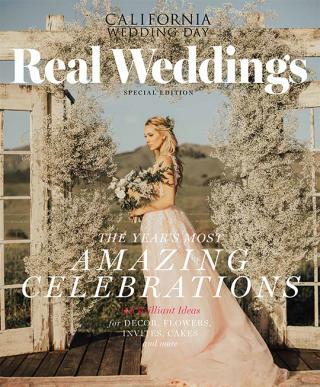 CWD Lara Burnap & Hayley Page Interview from Sergio Anthony Films on Vimeo.